The TEDxSydney Satellites live stream will broadcast from tedxsydney.com/live. The stream can therefore by viewed by any device running a web browser. Viewers can select a higher (up to 2000Kbps for HD) or lower (500Kbps for low) video quality on the player depending on the connection speed. Viewers can test their connection speed by visiting http://www.speedtest.net. We recommend testing several times as bandwidth can fluctuate. 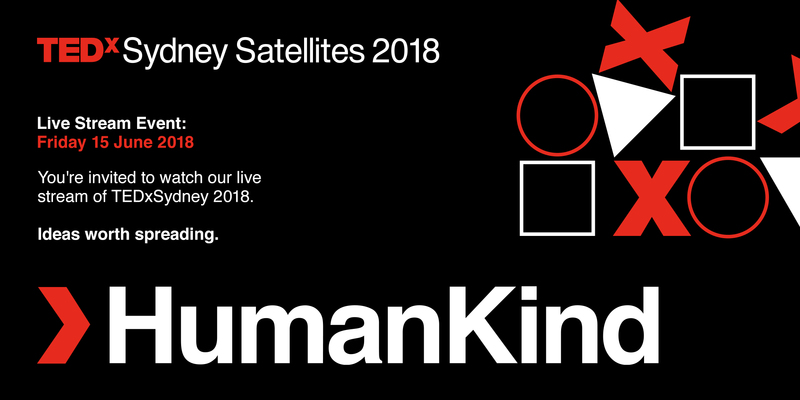 The TEDxSydney Satellites live stream will broadcast from tedxsydney.com/live on Friday June 15 from approximately 8:45am until 6:00pm Australian EST (final timing TBC). How do I adjust the volume / go fullscreen and adjust the other player controls? MultiBitrate Quality Selection: Select the desired streaming quality. How do I enable accessibility controls? Once enabled in the player press k then c.
This will bring up the player control box that will show which keys do what. What are the list of domains and ports that need to be open in your firewall to allow access to our livestreams? Some corporate networks, firewalls, may prevent the player from displaying. Please check with your Network Administrator if the issue is only occurring on your local network. The player isn’t loading (I’m getting a spinning wheel). Consider using a different network. The player loads, but the video is stuttering or choppy. In order to view streaming video you’ll need a broadband connection. Ensure that your connection speed is sufficient by visiting http://www.speedtest.net. You should have at least 700Kbps downstream for reliable playback of medium quality video. Changing the quality on the player to low may improve this if you’re on a weak internet connection. If you are on a wireless connection try switching to wired connection, or move closer to the wireless router for a stronger signal. Running other bandwidth-intensive programs takes away from available bandwidth so you may want to quit out of these. Quit out of any other CPU-intensive programs. Close any other tabs that are open in your browser. Being on a shared internet connection may be using a lot of bandwidth and reduce your available downstream bandwidth. Viewing Scenarios of TEDxSydney Satellites live stream. All streams in all platforms for this event are delivered as http. Corporate Networks are often administered to disallow YouTube or other live video platforms to avoid large amounts of data streams to be accessed by multiple internal clients. Confirm with your Network Administrator that http video streams are allowed through the corporate firewall. Video may be allowed in certain sub networks or on guest/WiFi networks while disallowed on others. Mobiles and tablets that access the internet over local corporate WiFi may be prohibited in a similar way, blocking video. Check with your IT Department.